Welcome to my blog. 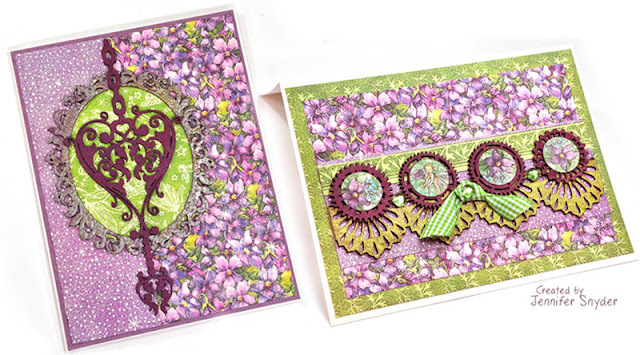 I'm here today with cards for two different occasions each featuring an exquisite chipboard design by Creative Embellishments. 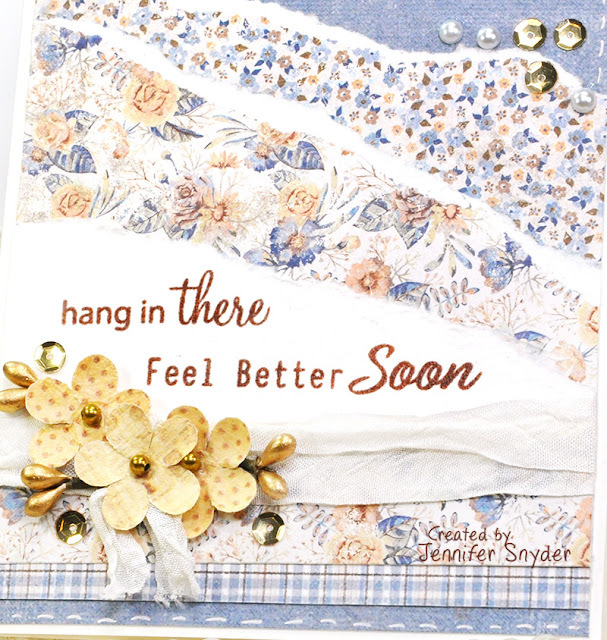 My first card is extra special - made for an Aunt who recently had open heart surgery. 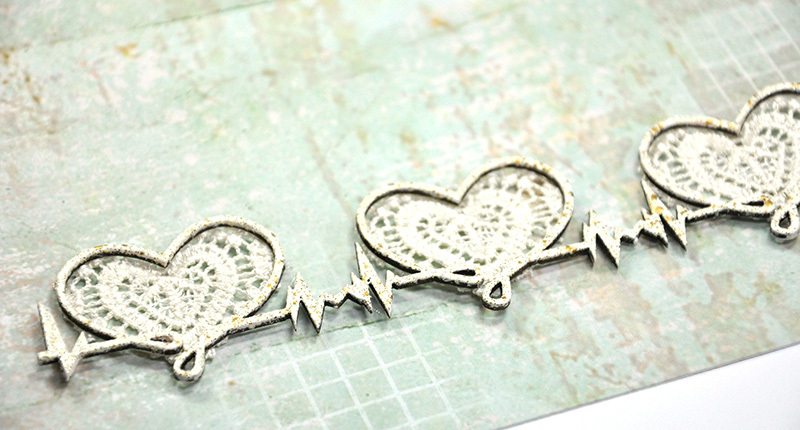 What could be better and more appropriate than the Creative Embellishments Heartbeat Border. 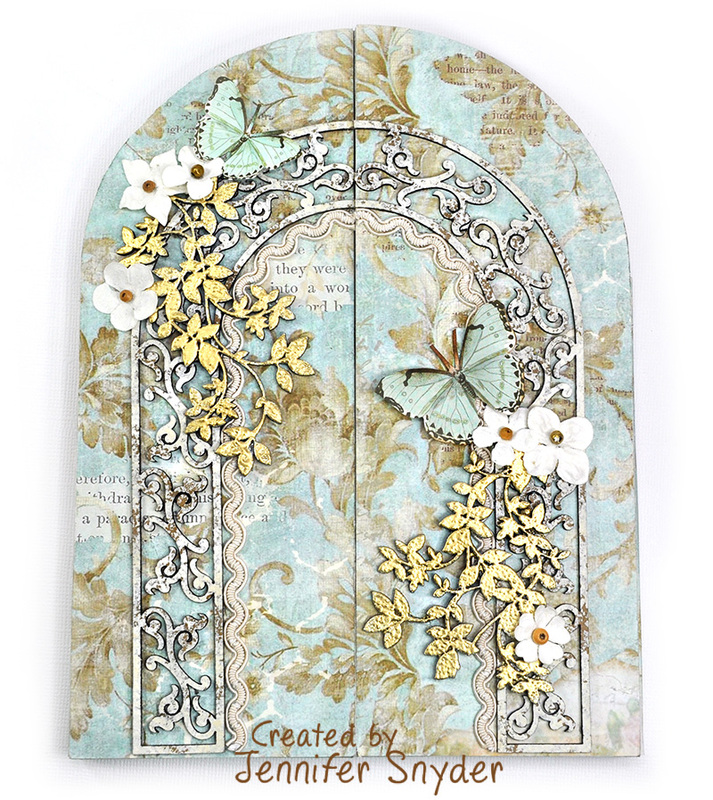 You can see below how cool and unique this chipboard piece is. 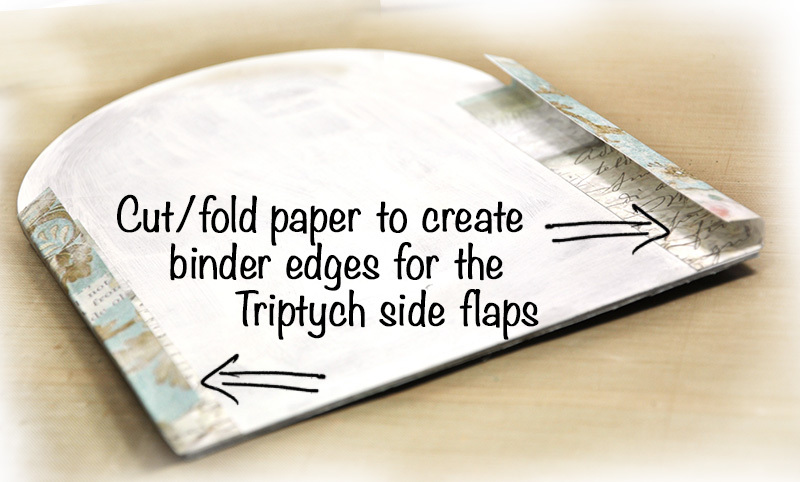 It's also a large 12in long border piece so it can be used on a layout, project, or cut into pieces to fit cards and tags. 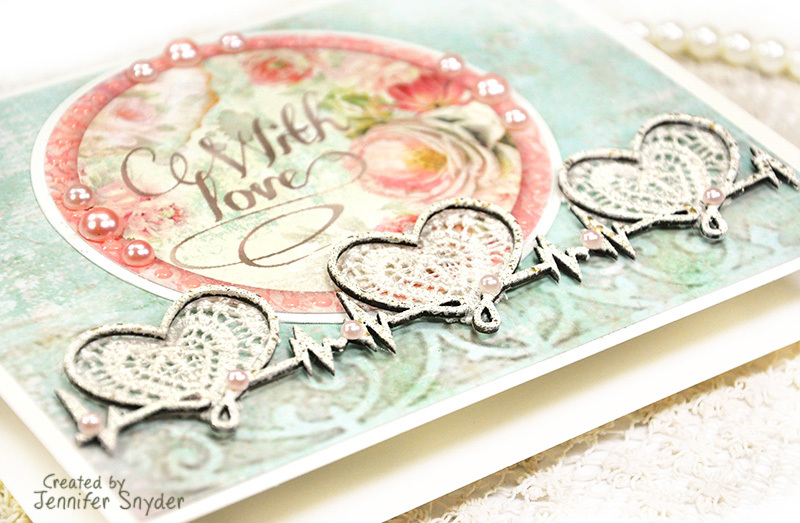 I embossed the border using Stampendous - Frantage Aged Ivory Embossing Enamels and then backed each heart with a piece of lace. I was fortunate to find lace that had hearts (thanks Hobby Lobby). Here is a dimensional look at the Heartbeat Border. I love the finished piece. 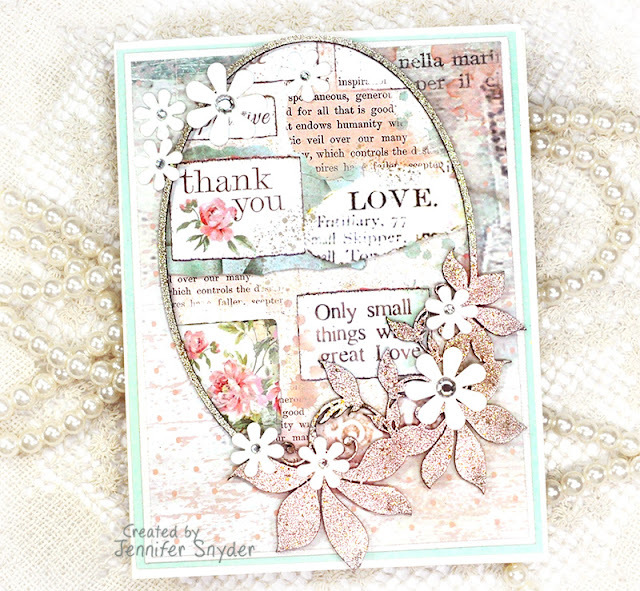 My paper choice for these two cards is Stamperia Dream 12x12 collection. This is the second card. It's a "thank you" card for my Aunt who helped with a graduation party I recently hosted. Not the same aunt with the open heart surgery, mind you. 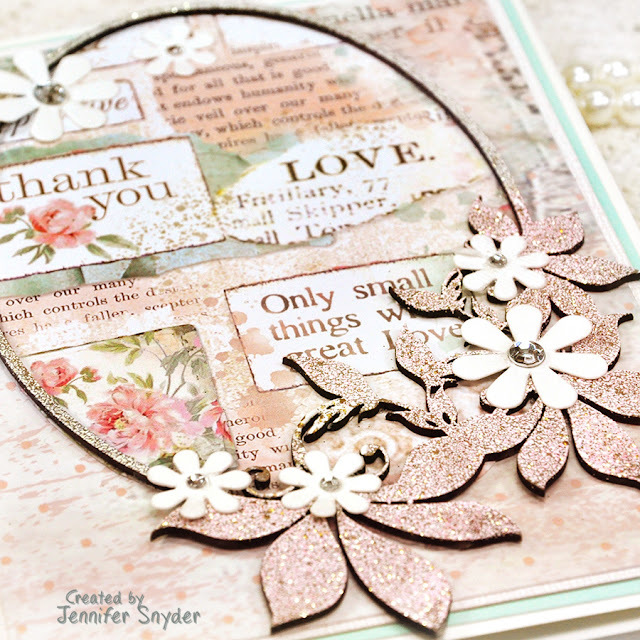 This also uses Stamperia's Dream paper collection. 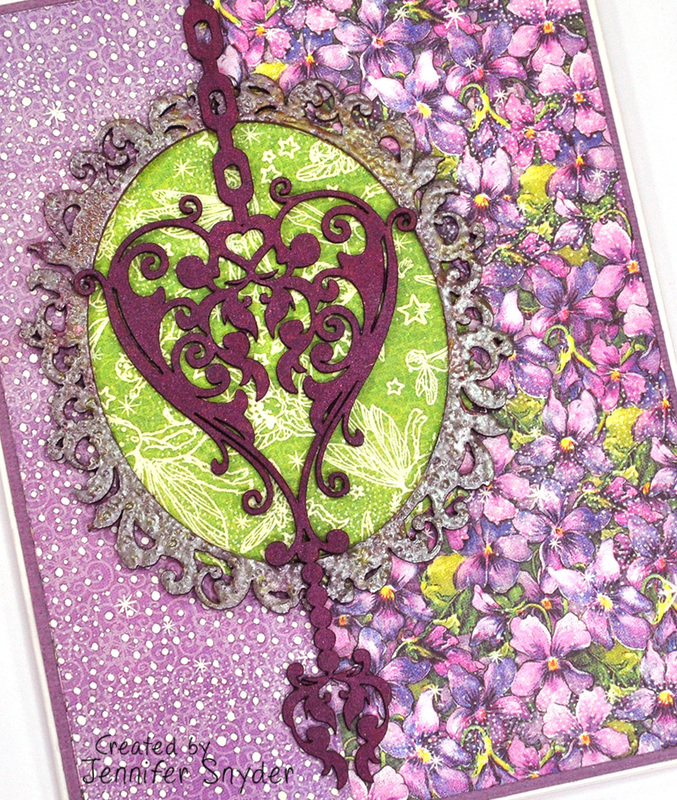 Stampendous - Frantage Aged Rose Embossing Enamel. The frame is quite large and perfect for a photo on a layout - but I opted to have it highlight my sentiment on the card. 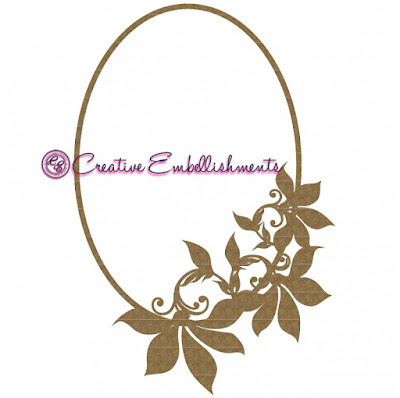 You can shop for all the Creative Embellishments products right here. 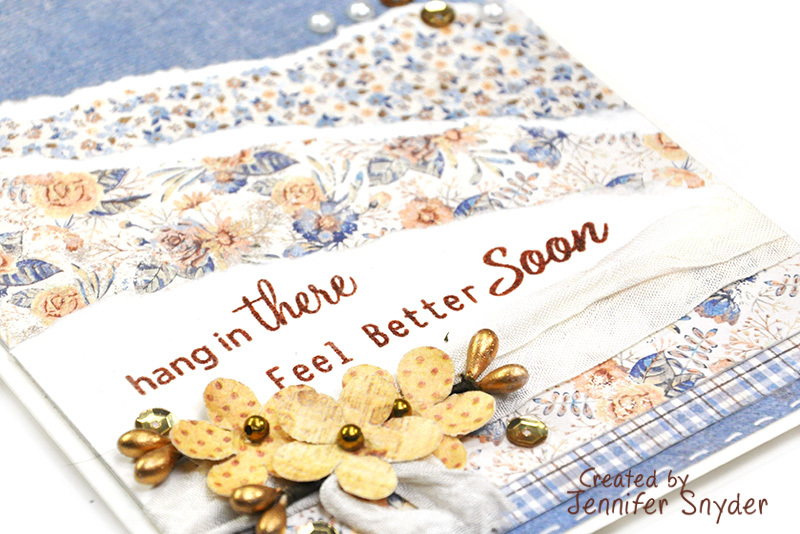 Today I am presenting a get-well card made from Maja Design's fabulous Denim & Friends collection. This collection is one of my favorites for layering. The patterns and florals combined with the blues and soft browns in this collection make this versatile for both men's and women's cards. This is a closer look at the layers of the card as well as the sentiment. 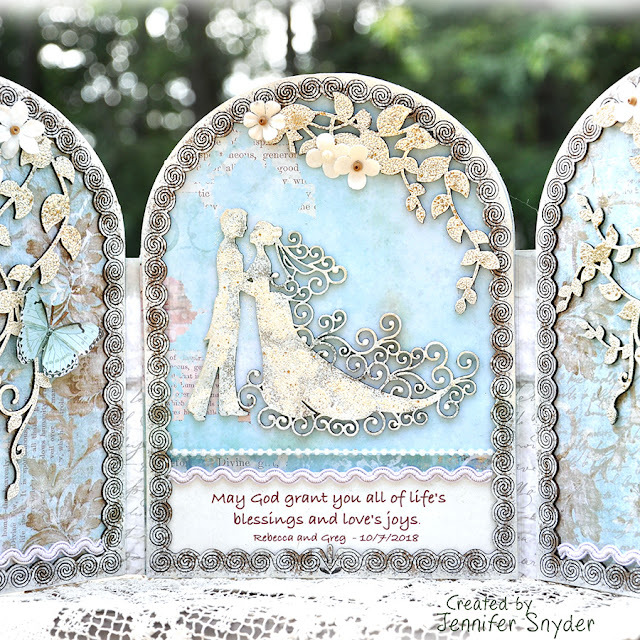 I added a piece of fun foam under the sentiment piece to give a little volume and dimension. 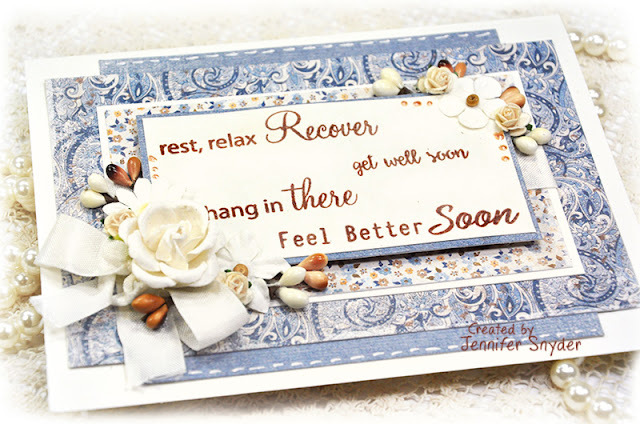 The sentiment stamped with a warm chocolate colored ink using a new stamp from JustRite Papercrafts. 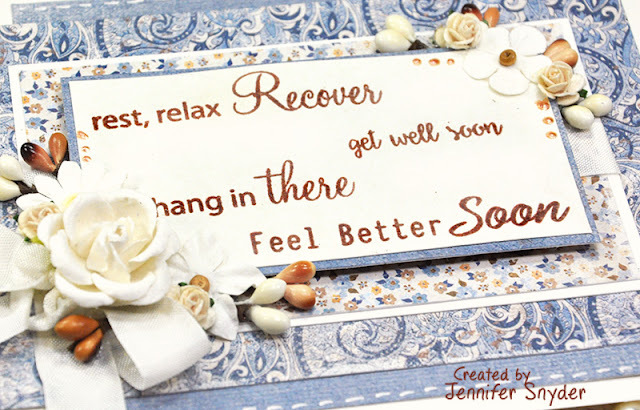 It's a newly released set, JustRite Get Well Soon Sentiments. 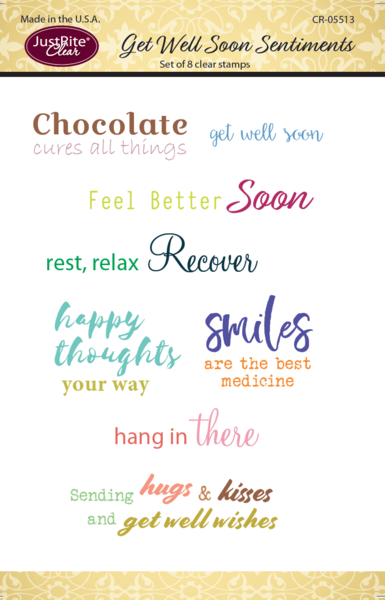 And it covers any an array of get well wishes. 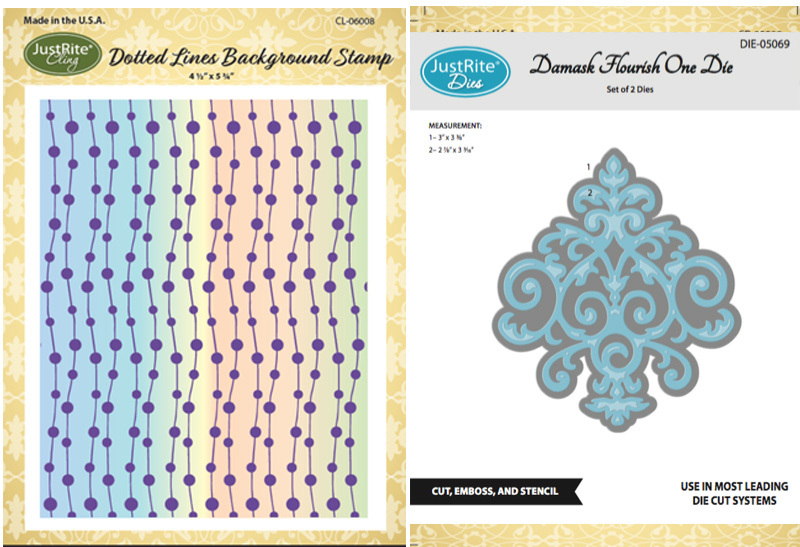 Here is an image of the stamp set from JustRite. Maja Design has introduced a solid collection to coordinate with the Denim & Friends collection. 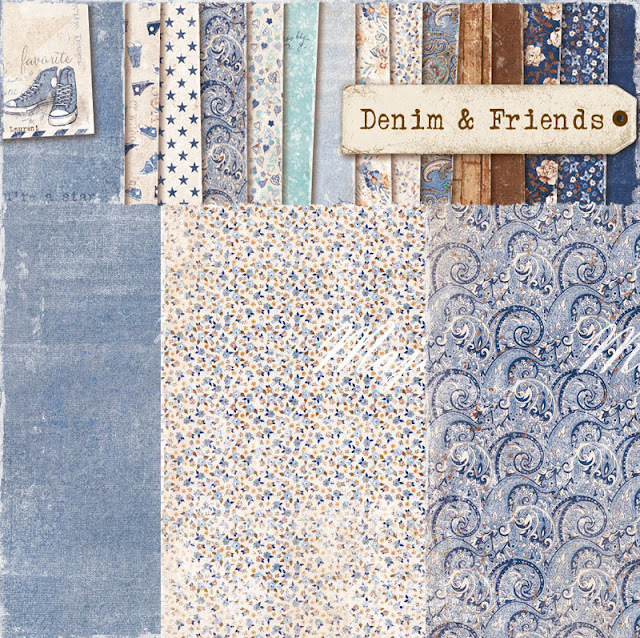 It's called Monochrome - Shades of Denim and it is a set of solid colors that are custom selected for the Denim & Friends papers. One last view of the complete card. You can shop for all the dies and stamps from JustRite here. JustRite Papercraft has released it's new Christmas stamp collection and I am enchanted. Now is the perfect time to start your cards. Folks, it doesn't get any better than this to start. Time only speeds up from here. JustRite's stamps help make the holiday card preparations easy. 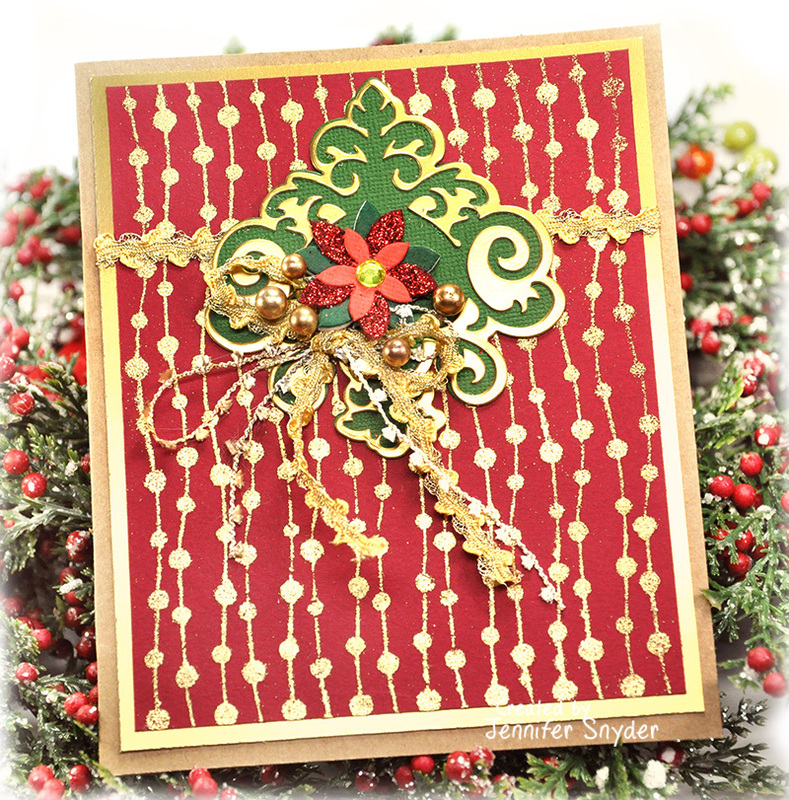 I have created a traditional and festive card using the newly released JustRite Dotted Lines Background Cling Stamp paired with one of JustRite's beautiful Damask Flourish One Die . 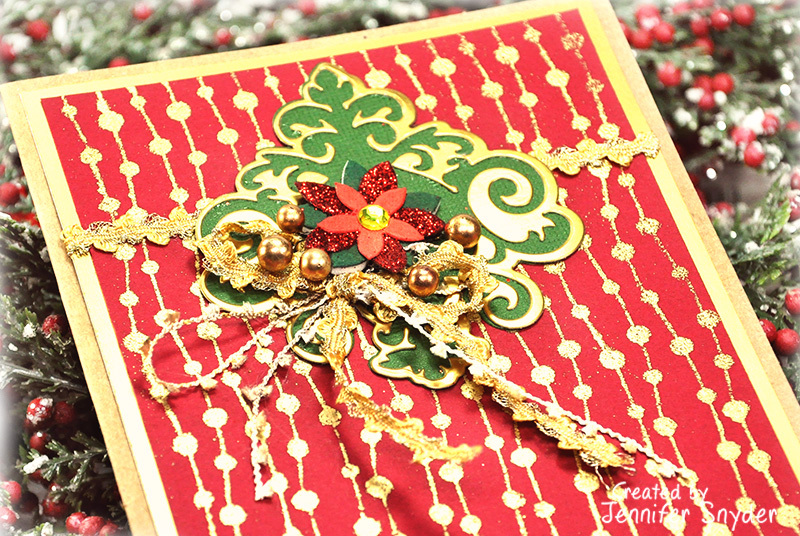 This card was amazingly easier and created more quickly than it looks. I embossed the background onto deep red cardstock using the JustRite Dotted Lines Background Cling Stamp with Clear Embossing Ink and Fine Gold Embossing Powder. 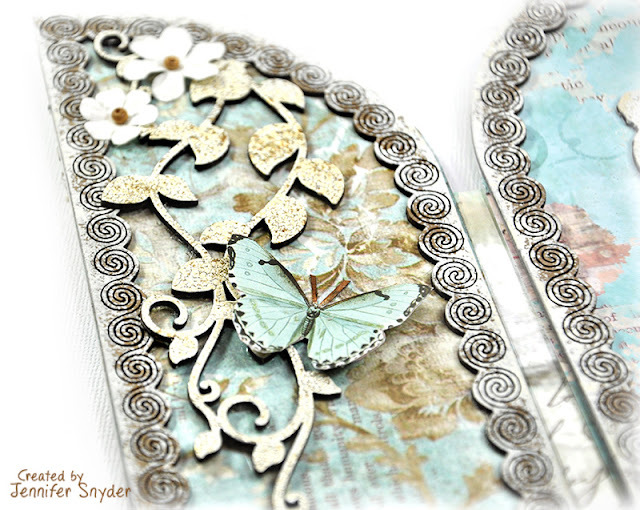 After the embossing is done, I started embellishing. That's quite simple too: add some gold trim, cut a JustRite Damask Flourish Die medallion from Gold Cardstock . NOTE: I used the negative space from the die. This is the paper leftover once the actual die cut shape has been removed. In other words - the leftovers. I did use a stamping platform (MISTI Stamping Tool) to stamp the background. I wanted to make sure I had complete and crisp coverage before I removed the stamp. I am a giant fan of the platform - whichever platform you choose - because it eliminates or at least cuts down on stamping frustration, cuts down on paper waste from half-stamped images, and helps me move through a project successfully and happily without frustration. Crafters craft to relieve stress, right? 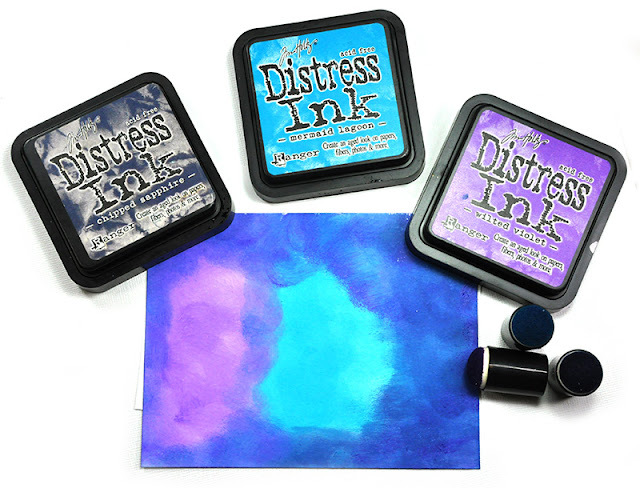 Tools like stamps, platforms, inks all help to make our hobby a happy and enjoyable one. You can shop for JustRite Papercraft's new Christmas releases as well as all their other gorgeous dies and products right here. A fairytale wedding card for a fairytale wedding? It sure is! Creative Embellishments chipboard helped this fairytale card come true. I'm here with an oversized but absolutely charming idea for a card that makes a giant romantic statement. Scroll down and I will show you my DIY tips for turning Creative Embellishments Triptych into a statement piece. 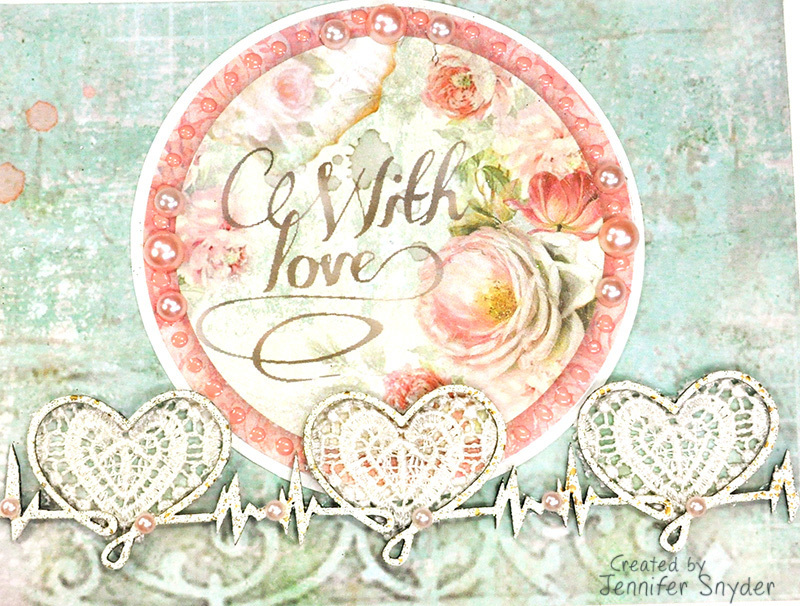 A card made from the magical pairing of Creative Embellishments products and gorgeous Stamperia papers ( Wonderland collection). 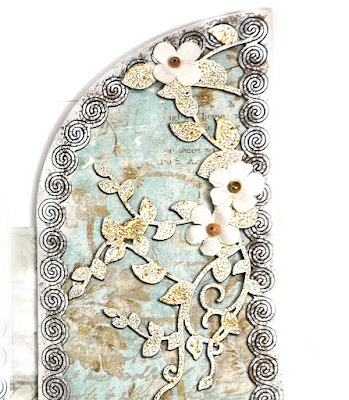 These are the chipboard pieces I used to create this magical card or tabletop decor piece. 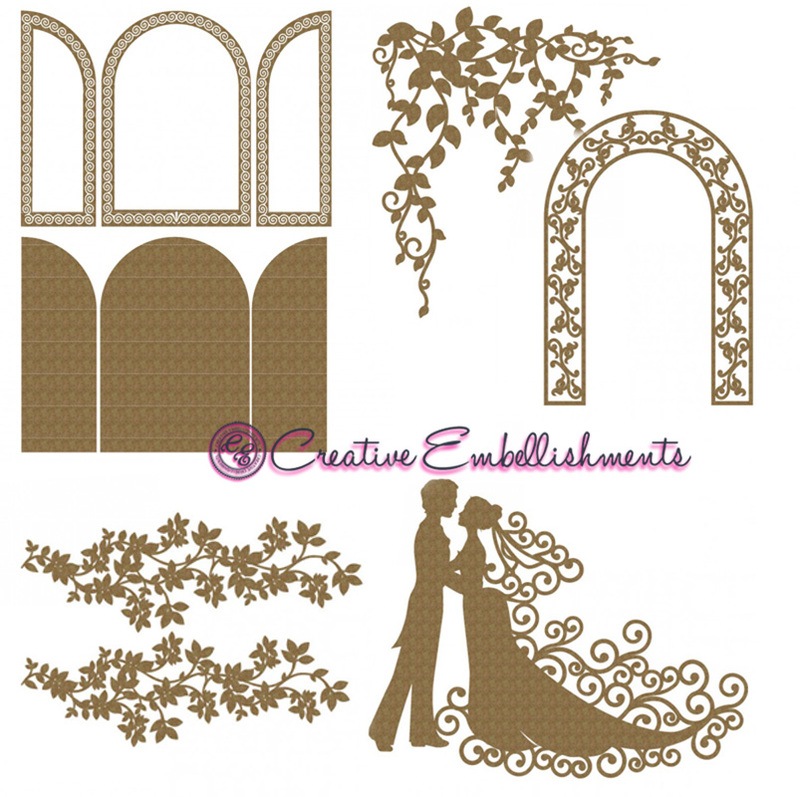 Here is a close up of the graceful Creative Embellishments Bride Groom Couple. 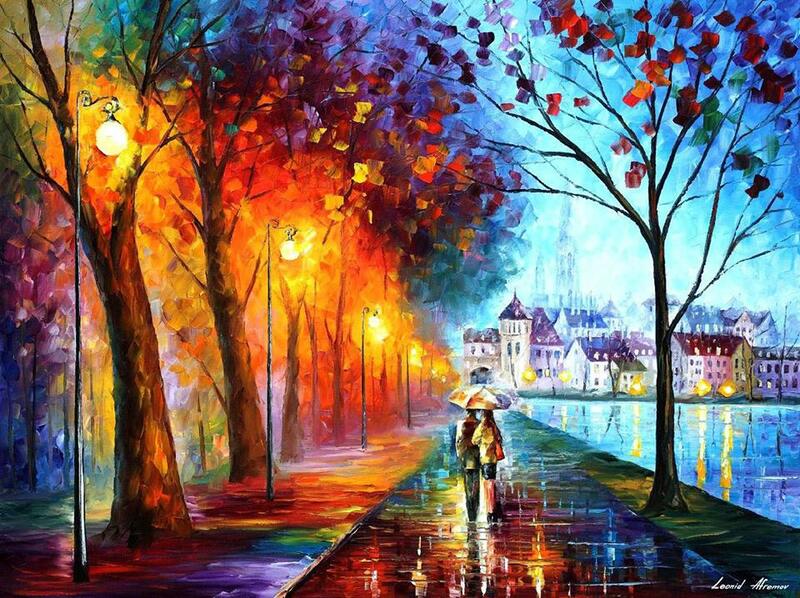 They were simply painted with an acrylic white wash ( white paint thinned with water). After the paint wash dried, I sprinkled some Stampendous - Frantage Aged Ivory Embossing Enamels onto the couple and heat set them. 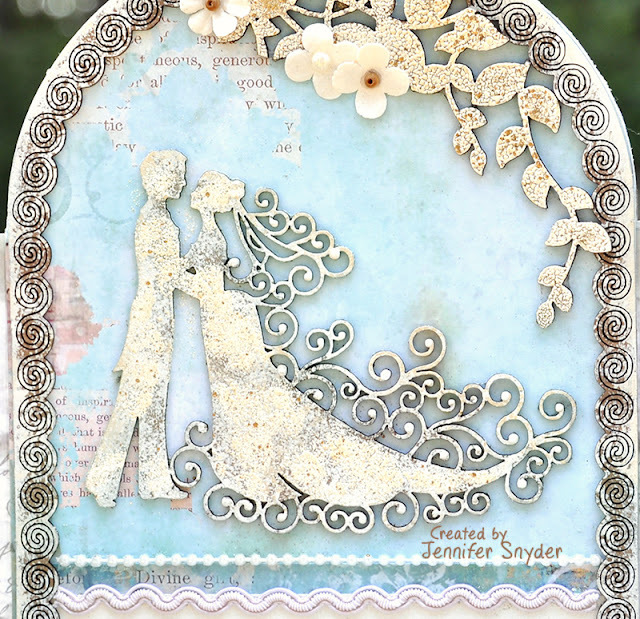 I did not cover the couple completely with embossing powder. This is a view of the front of the card. When the card is closed, it is a bit thick because of the chipboard layers inside the card. I have made some allowances in the thickness when I was building the card. 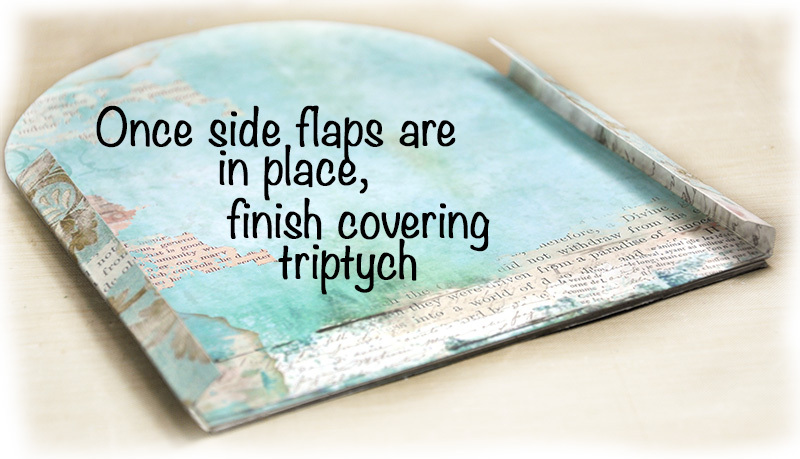 The Triptych has lovely intricate edges. It is a large piece, standing 8 inches tall and 12 inches wide when assembled and opened. Scroll down and I'll show you how I assembled the side flaps. As mentioned above, the Creative Embellishments - Tryptych is thick when chipboard is layered inside and the card is closed. 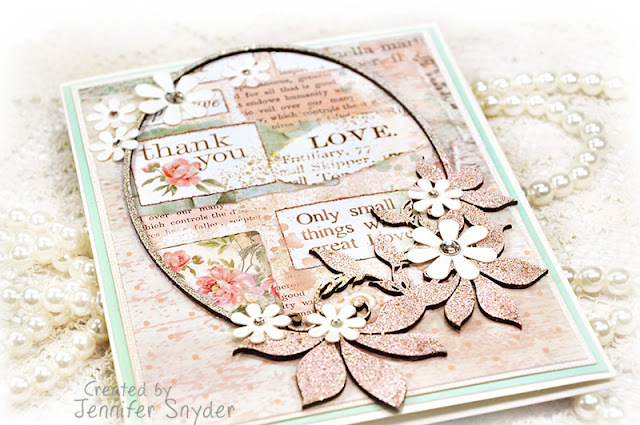 Allowances need to be made if using this as a card or decor that will be closed. You certainly do not want your beautiful work crushed. I cut a flap that was then scored and folded. See in the photos below, I added these flaps BEFORE my background paper was added. These are going to act like hinges. I have allowed for 1/4inch thickness. 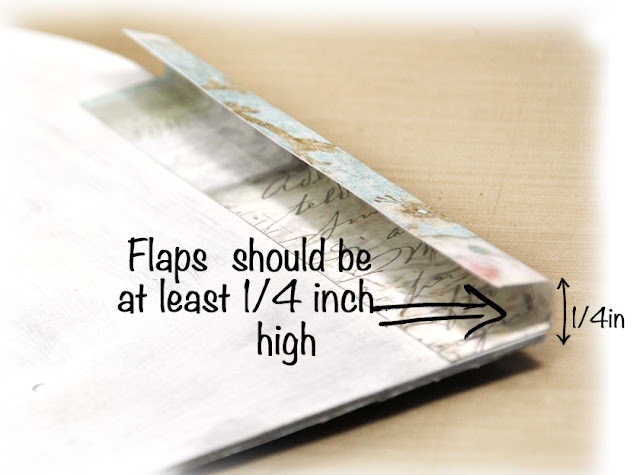 Once the flaps or hinges are added, you can finish covering with paper. This set just hides the flaps and cleans up the card. 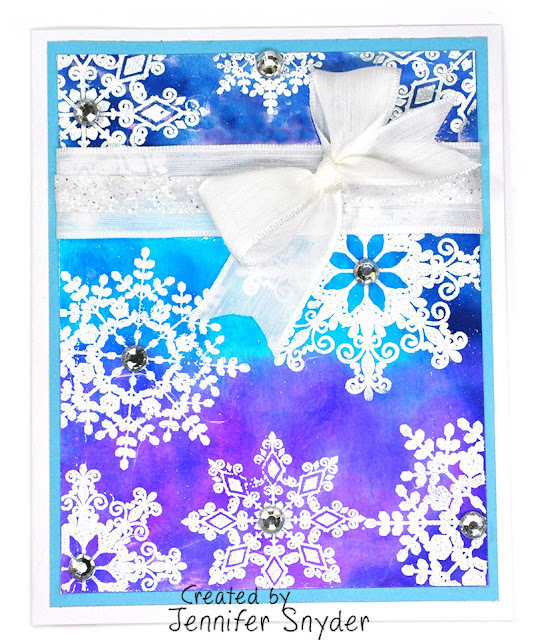 I chose to place the decorative edges on the inside of the card so that when it was opened, it looked finished and cohesive. My treatments on the edges was quite simple. I used a sea sponge to dab an acrylic white wash (acrylic paint mixed with water) onto the chipboard. The sponge is great to use when you do not want total coverage. 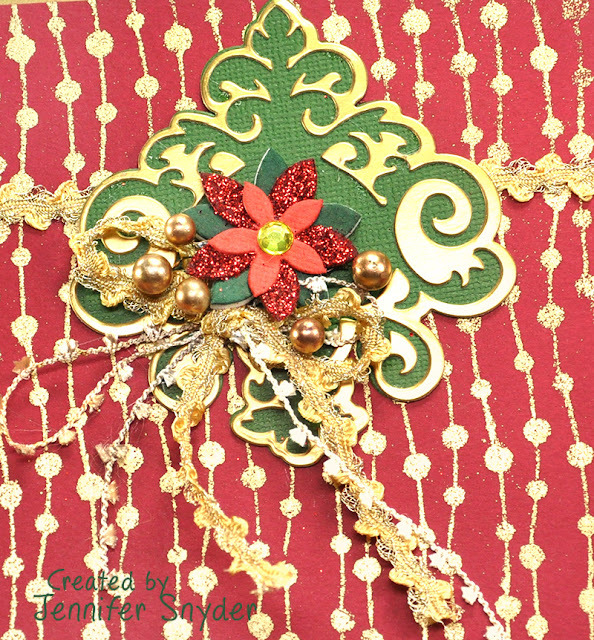 I used the Vine Corner to decorate the inside of the card. I simply embossed the piece and cut into pieces to create a garden look throughout the entire piece. Here are a few more images to share. The graceful Archway Style 1 is like the gate that greets the bride and groom as they walk into the garden for their ceremony. I thought it was a perfect fit for the shape of the triptych. 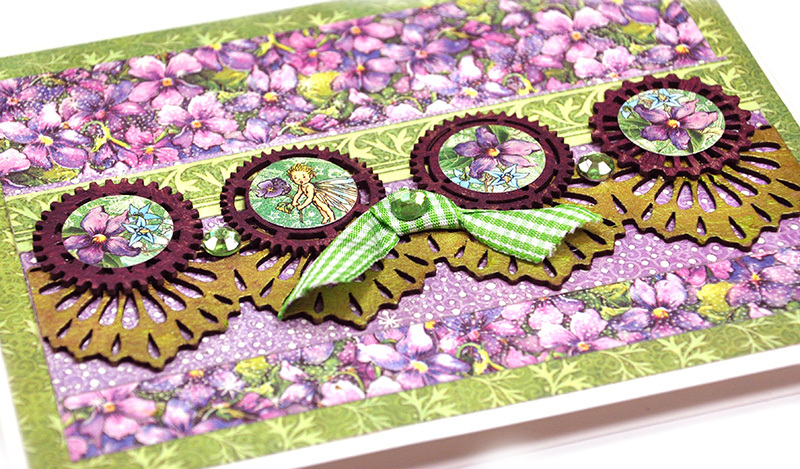 The Flourish Set 10 chipboard vines were embossed using Clear Embossing Ink and Fine Gold Embossing Powder. The gold made them pop a bit. 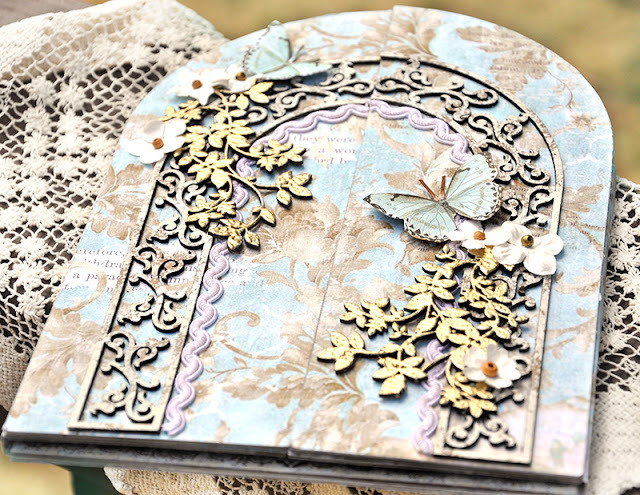 The butterflies were cut from the Stamperia Paper - Wonderland collection. 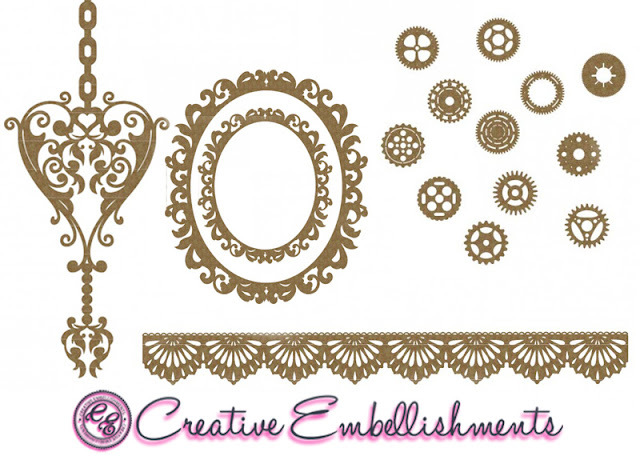 You can shop for all your Creative Embellishments products and chipboard right here. 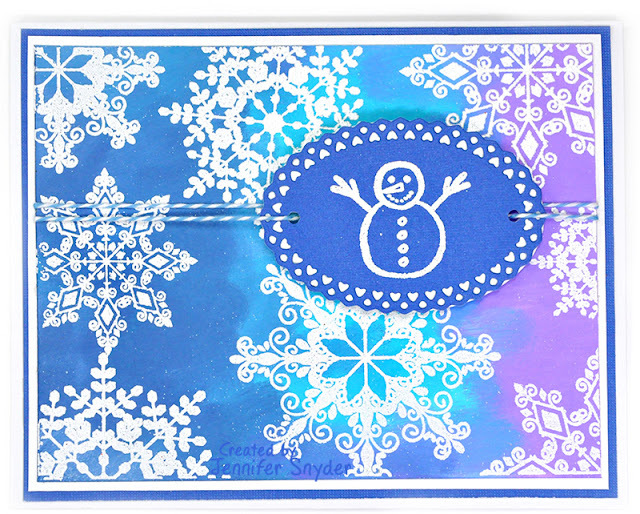 You can shop for the Stamperia paper right here. I have a love/hate relationship with winter. I love winter themed projects, stamps, cards and home decor. I dislike the cold and actual snow that comes with the season. I also have a thing about snowmen. I adore them. 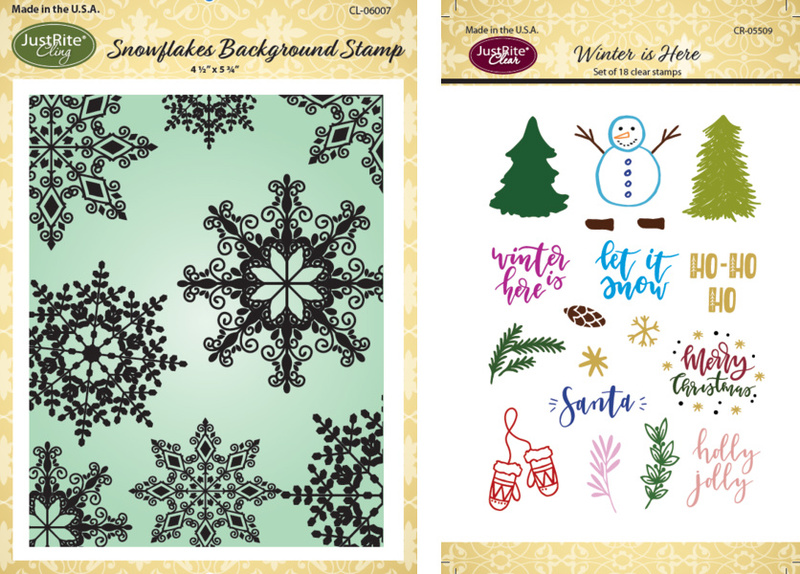 So when JustRite came out with some new winter/Christmas themed stamps, I was overjoyed. Time to get my winter hat on - figuratively speaking because I dread how quickly I will actually have to wear my winter hat. Scroll down the page and I'll share my techniques and tips for these DIY cards. 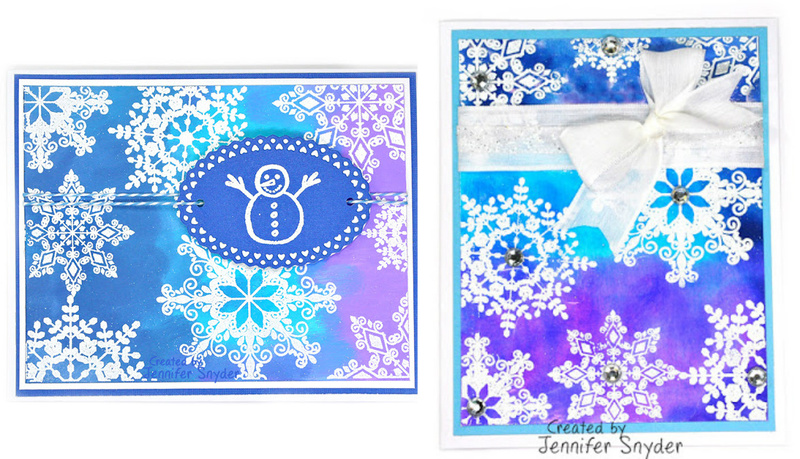 I created two winter (Christmas/ Holiday) cards using the new releases from JustRite. The cards I present today feature two new stamp sets shown above. I mentioned already that I adore snowmen. 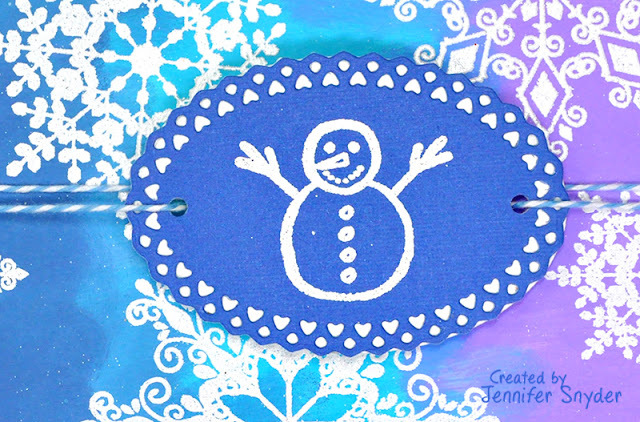 I just love the little buggers and was thrilled that the JustRite - Winter Is Here Clear Stamp has the sweetest little snowman stamp. 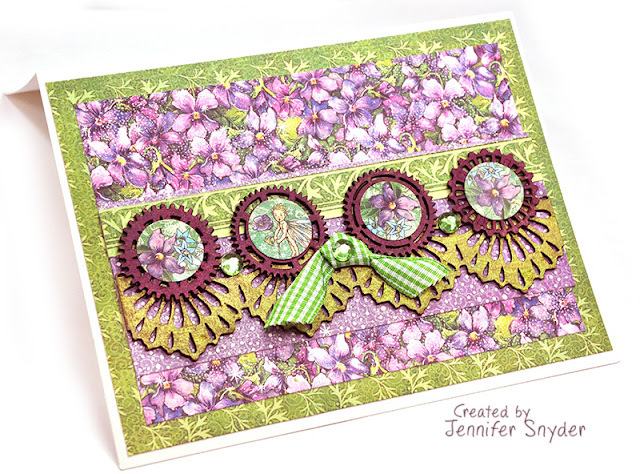 I stamped him and popped him atop the JustRite Joy Oval Frame Die. 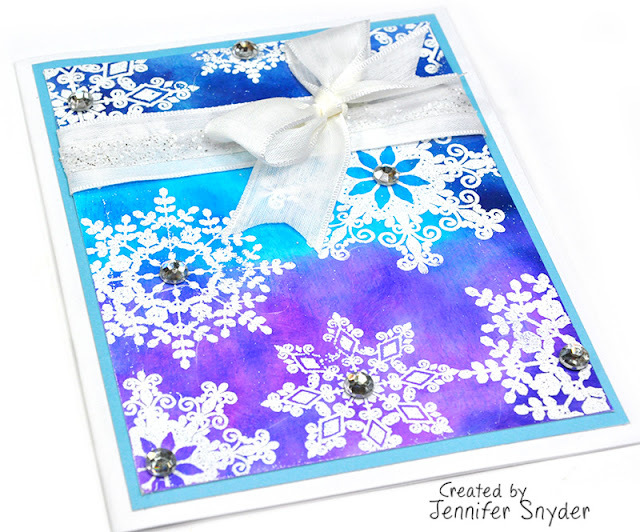 I made the cold frosty snowflake background from some Distress Inks and the newly released JustRite Snowflake Cling Background Stamp. Why did I choose to use the Specialty Stamping paper? It has a bit of a glossy sheen to it enabling the Distress inks to blend nicely, in my opinion. The inks do not soak into the paper - which allows for the blending. If I had used cardstock, I think the inks would have been chunkier, less blended and even a bit muted in color. The ink soaks right into cardstock preventing the surface of the paper to be "workable". I also really love the Finger Tip Sponge Daubers because they enable me to isolate smaller sections of the paper to add color. Sometimes i feel like the larger blending tools cover too large an area for my intentions. 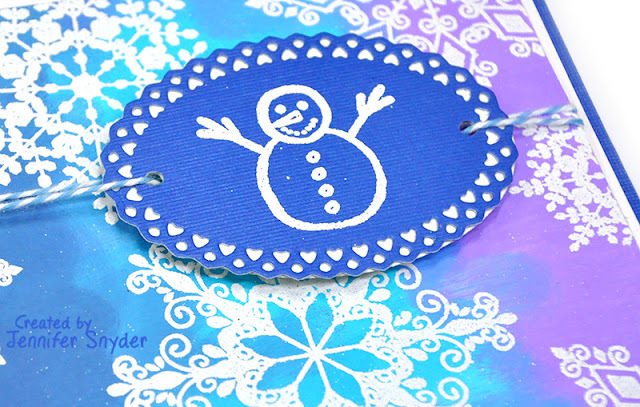 I'm going to talk a bit about the stamping and embossing I did on both cards and provide some DIY tips for successful stamping and embossing. 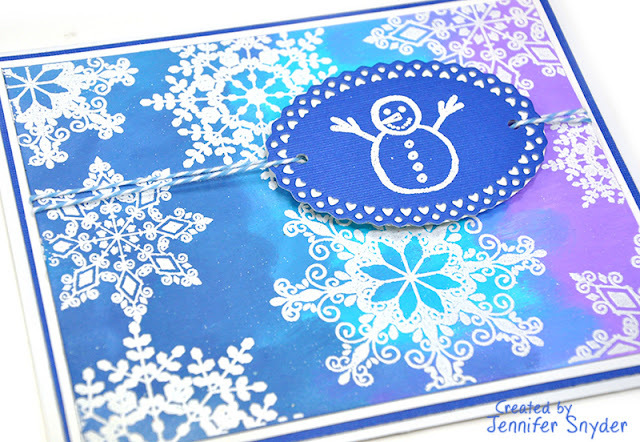 Embossing the Snowflake background and Snowman: After I inked the background to my satisfaction, I applied clear embossing ink to the JustRite Snowflake Cling Background Stamp and coated the embossing ink with Super Fine White Embossing Power - then heat set. The super fine white embossing adds a tiny bit of texture and gloss to the snowflakes. The look is different than just a stamped image. 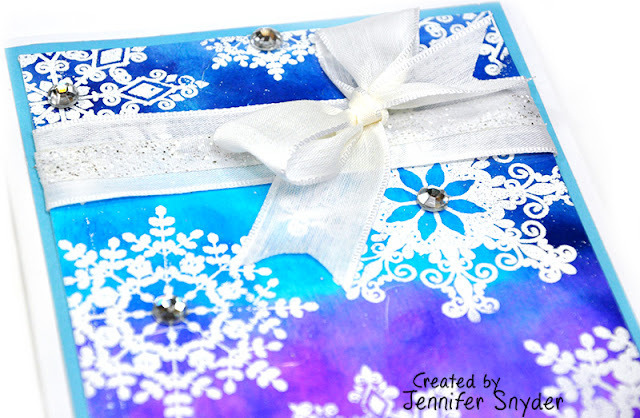 I used a clear embossing ink pad and not clear embossing liquid from a roll on bottle. I tried the roll on and I had less success in getting a crisp, clean stamped image. Thus my recommendation is to use a pad. NOTE: I did use a MISTI Stamping Tool when stamping the snowflake background. 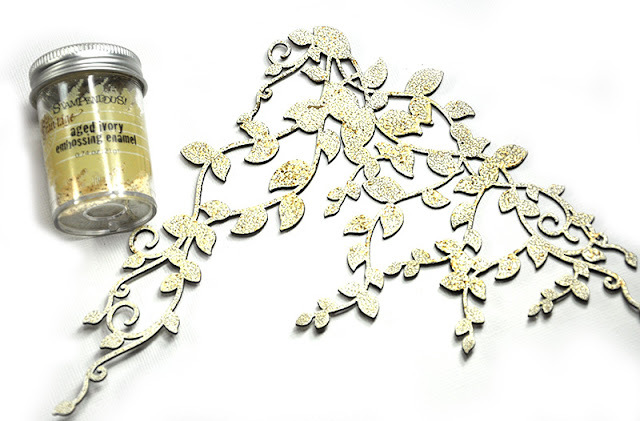 I am a giant fan of using a stamping tool or platform for precision and to make sure the entire image transfers to your project. 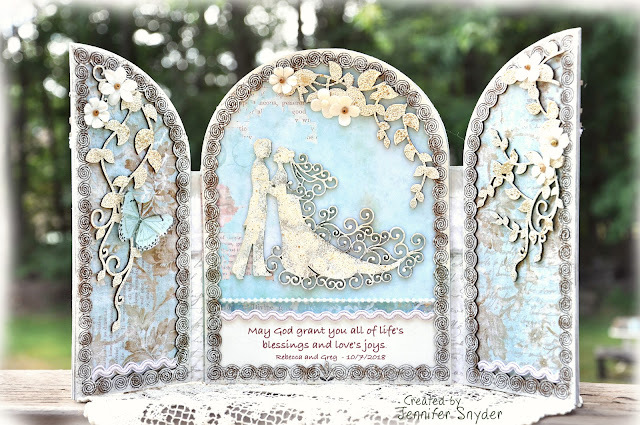 JustRite Joy Oval Frame Die attached with blue bakers twine. Here is the second card. This is simple with a pretty white bow added. The card also has silver gem stones added to the middle of each snowflake. The photo shows the silver gemstones in the center of the snowflakes adding a touch of sparkle. 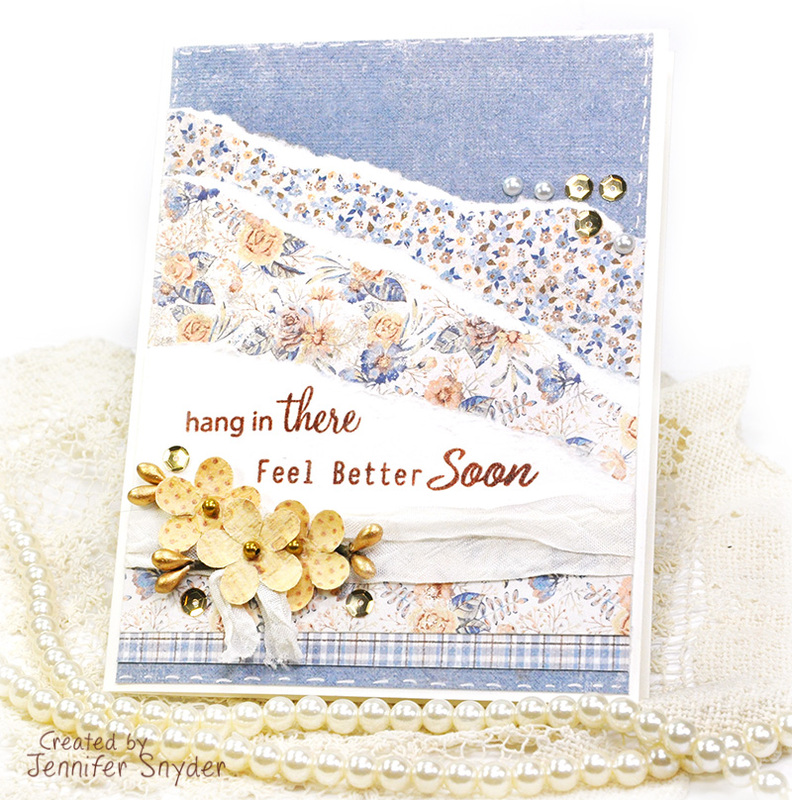 I'm here with a card made from Maja Design's fun and flirty Denim & Friends collection. Aren't the beautiful florals delicate and "comfortable"? 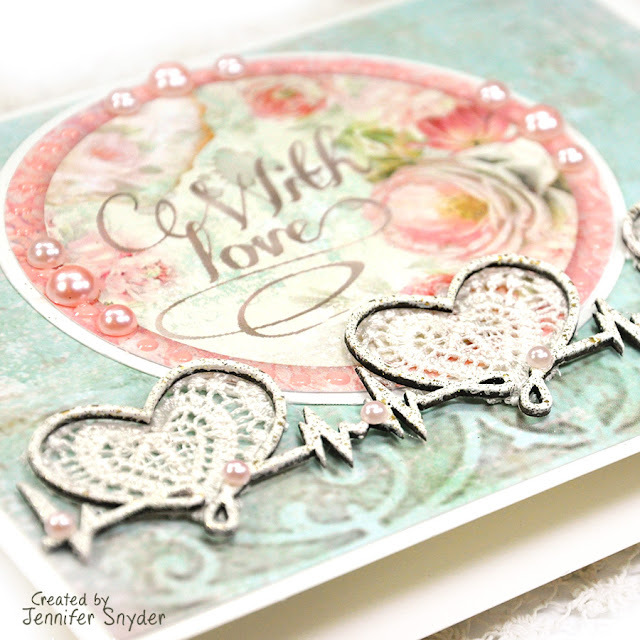 The stamped sentiment is from JustRite Stamps. 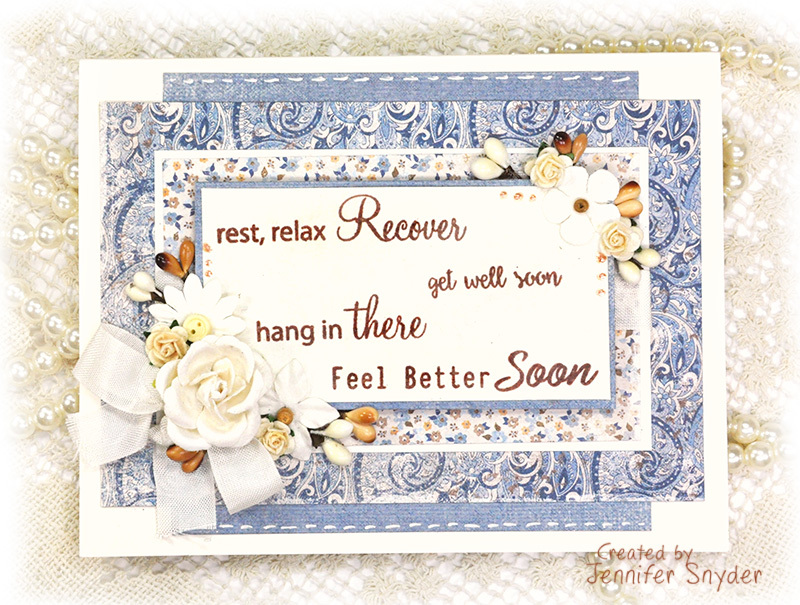 This is JustRite "Get Well Soon Clear Sentiment Stamp". This stamp set is perfect for those times when you need to send a special card of encouragement and thoughtfulness. Maja Design has introduced a cool new product to coordinate with the Denim & Friends collection. 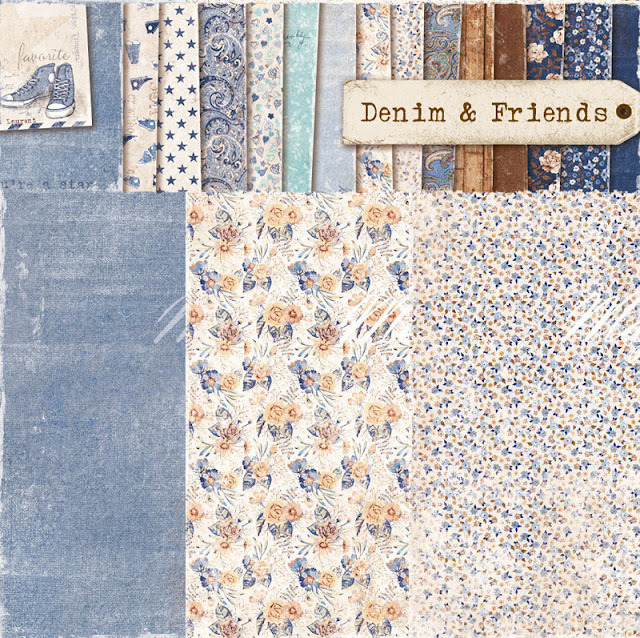 It's called Monochrome - Shades of Denim and it is a set of solid colors that are custom selected for the Denim & Friends papers. It's August 1st and time to present the August Challenge at Creative Embellishments. I cannot believe I am actually saying "August" already but time doesn't stop for the daydreamer like me. This is the image from the challenge. You can see the post and rules here. I created two cards inspired by elements from the challenge image. My paper choice (Graphic45 - Fairie Dust Collection 12x12) was inspired by the the leaves in the trees. 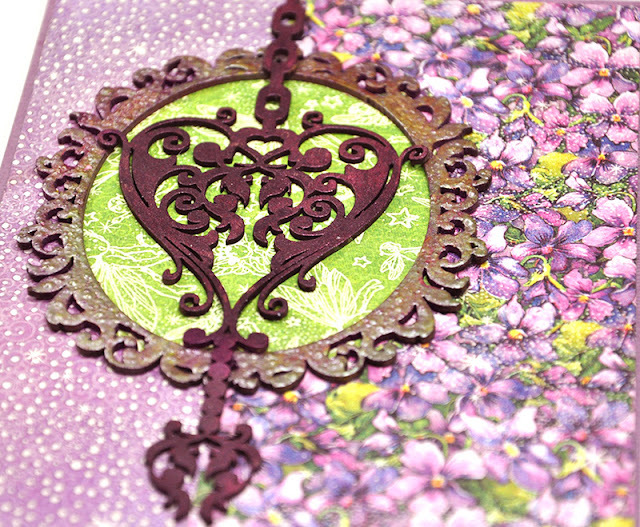 Next, the beautiful and ornate "Heart Dangle" chipboard center piece (simply painted deep magenta) is my interpretation of the couple in the image. They are surrounded by the Fancy Oval Frame, which has been embossed for a shiny effect to resemble the reflections caused by the rain. The second card was inspired by the street lights with colors from the image. The lights are represented using "chipboard gears 1" painted deep magenta with Graphic 45 stickers as buttons. 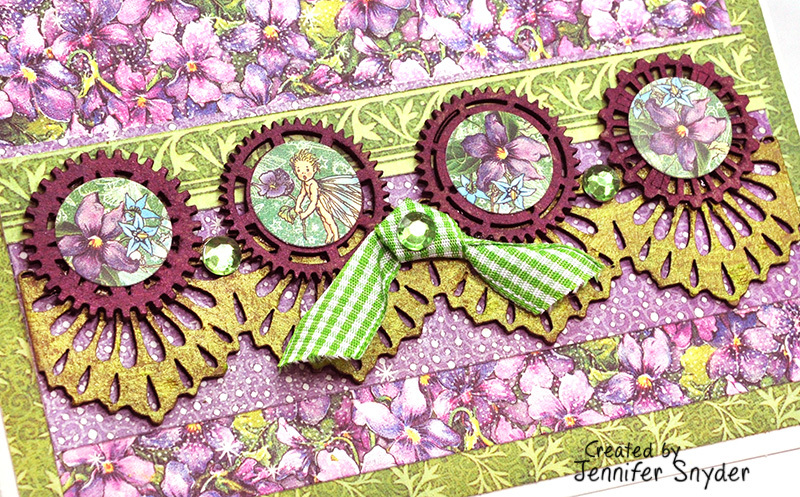 These are set over the Creative Embellishments - Lace Border 1 - painted lime green. I also added green gems for the twist - to add a shiny element to the project. The second card was inspired by the street lights in the challenge image as well as the rich colors. The lights are represented using "chipboard gears 1" painted deep plum with Prima Finnabair - Art Alchemy - Plum Preserves paint. The gears were topped with Graphic 45 stickers from Graphic45 - Fairie Dust Collection 12x12 as buttons. These are set over the Creative Embellishments - Lace Border 1 - painted with Prima Finnabair - Art Alchemy - Green Gold paint. I also added green gems for the twist - to add a shiny element to the project. Be part of the August Challenge at Creative Embellishments. You can play along right here. You can grab some cool chipboard from Creative Embellishments right here.